Bluestacks is like a monopoly choice for a majority of the Android users who want to run their Android apps on PC. We have dedicated a few articles on our website for bluestacks on how to install it with all the required details. However, off late, we have seen our readers talking about the errors that are interrupting the usage. 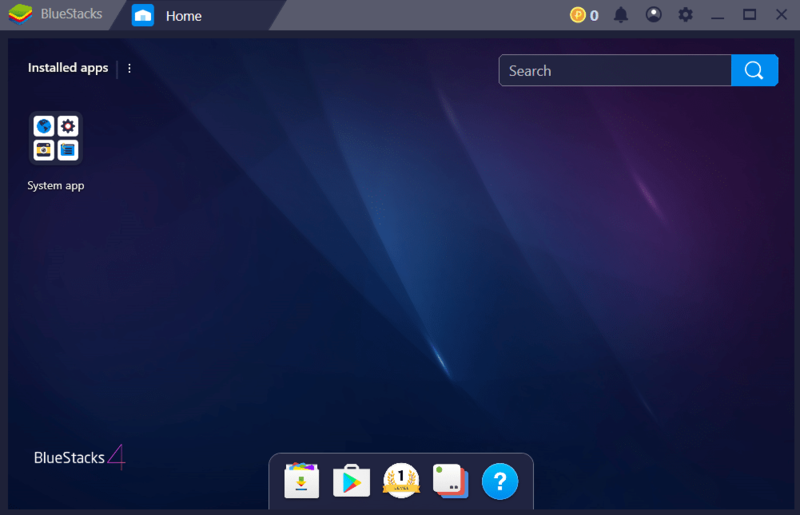 So, in this article, I am going to tell about this particular error called error 2318, which usually appears during the process of uninstalling bluestacks. No worries, you can fix this error quickly. You can download Bluestacks for Windows 10. What is Bluestacks Error Code 2318? 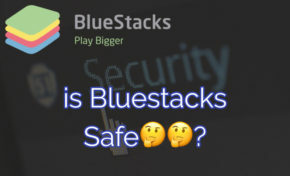 When researched about why bluestacks error code 2318 occurs while uninstalling, it was found that the error is caused by the registry problems. In case you have had bluestacks installed earlier and delete it manually, instead of uninstalling it from the control panel, it is where you get to see the error 2318, or while installing it again. We can’t take away the probability of virus or malware in this case. But in most cases, this occurs when the tool is not uninstalled completely. 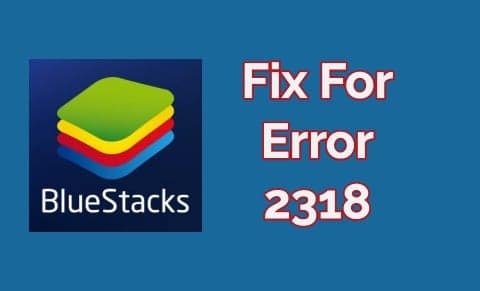 There could be many reasons, but we do have a solution for every possible error irrespective of where it is caused Read on to know ways to fix Bluestacks error 2318. I am saying with the experience of fixing the error; this isn’t a big deal to fix it. I’ll tell you why. Just follow the procedure below. Press and hold Win+R on your keyboard. Type, regedit and hit Return or Enter. Search for Bluestacks App Player in the by pressing CTRL+F, and delete all the registry of Bluestacks Emulator. Do not forget to delete Bluestacks from HKEY_LOCAL_MACHINE\Software\Microsoft\Windows\CurrentVersion\Uninstall. It is highly recommended to backup the registry settings before trying the above procedure. 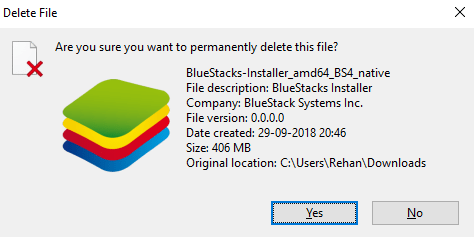 After doing In Add or Remove Programs, you will no longer see Bluestacks (If you have one that was not uninstalled correctly). This makes your way to uninstall bluestacks without facing the error 2318. As the first step, you have to fix the registry problems which are one of the causes of this error. This is an easy step to do. If you look out, there are a few popular registry fixers to assist you here. But I would recommend you using CCleaner. This is a free tool and fits our bill. However, you have a choice to go with third-party programs or you can do it by yourself. Now that you know how to fix bluestacks error 2318 manually, you can perform the clean boot in your device and install or uninstall the Bluestacks App player. This should work in the majority of the cases. If you are still facing issues, there are other methods to install/uninstall Bluestacks in Clean Boot environment. Note: You can get back to normal mode by reversing the clean boot process. If there is an error with the windows installer, it may cause hurdles for the installation and hence the installation errors. If this is your case, try restarting the device. Sometimes, restarting may be stopped for any reason. This way, there is more chance to encounter the error like 2318. And, restarting the device is way easier. Here are the instructions to follow. First, open Command Prompt as administrator. Windows 10 users can do this by pressing Win+X from the keyboard and choose Command Prompt (Admin). After doing the above step, type the following commands and hit enter after typing each command. After entering the above commands, try installing or uninstalling bluestacks and check if you are facing the problem again. Like I said earlier in the post, the virus can be any malicious program or any service that can be a cause behind the error. As a final option, I would suggest to scan the PC with a good antivirus program and try removing the malicious programs. This should help you in knowing the issue and fixing error 2318. Let us know your feedback in the comments section below after fixing it. Also, let us know if you are facing any errors. Thanks for reading. Share the article, so that it reaches to the needy.